This listing is for the pair of dolls in the top photo. 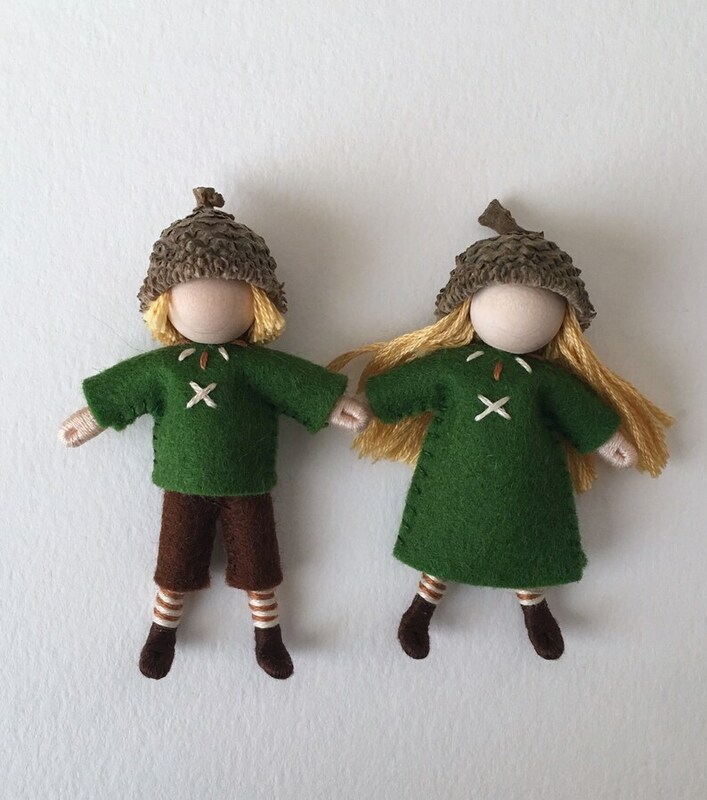 Each doll is just under three inches tall and dressed in hand stitched merino wool felt clothing over striped stockings. In the waldorf tradition, the facial features and expression are left to the imagination of the child. Their bodies are bendy and able to take on different poses.